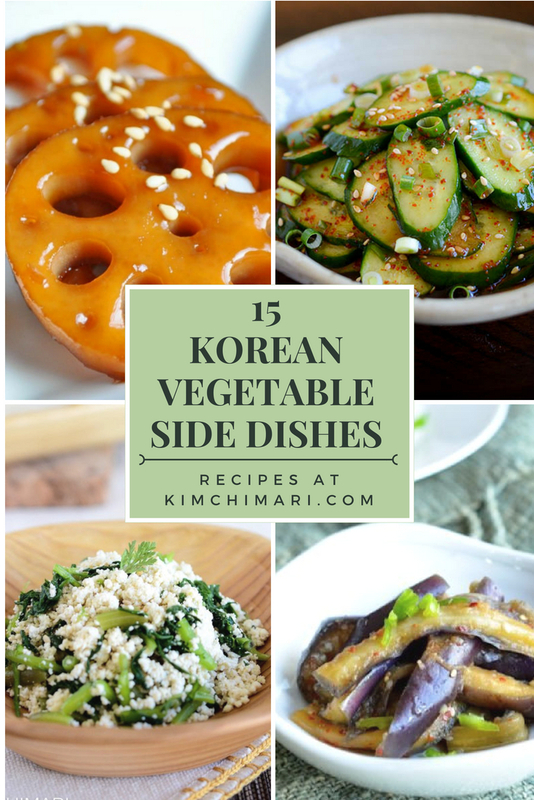 Korean vegetable side dishes (banchan) to go with any meals. Simple and easy to make, these dishes are light and nutritious and are especially great with BBQ for a balance of flavors and texture. 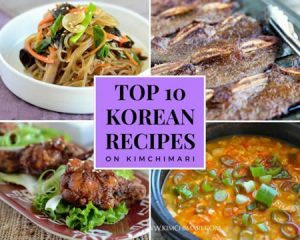 15 of the most popular Korean vegetable side dishes (also known as “banchan”) that you can effortlessly make at home for the whole family to enjoy. You don’t have to wait for your next trip to a Korean restaurant to have the various kinds of banchan because they are really quite easy to make. 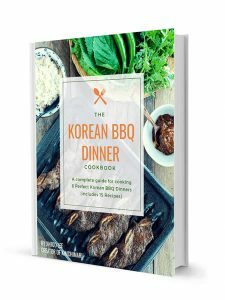 With just a few simple ingredients, you can whip up a whole lot of authentic Korean flavors in your very own kitchen. And most of these will store well in the fridge for few days so you can continue to make meals with them. That’s how many Korean moms do it. They make a batch of the side dishes and take out a couple for every meal. Banchan (반찬飯饌) is a name for all the small side dishes that are typically served with rice in a Korean meal. They are usually served in small dishes (but not always) and is supposed to be shared with everyone at the table. Banchan can be the vegetable side dishes listed here but also includes seafood and meats that are made into jeon (e.g. fish jeon) or jorim (braised e.g. jangjorim). 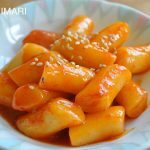 How to store Korean Vegetable Side Dishes? And how long? My recommended times are based on cooler room temperatures of 75°F or lower so please shorten the time if the temperature is higher. I think because some of these Korean vegetable side dishes are high in acid/salt/sugar content, they are most likely going to be OK but please put in the refrigerator sooner than later. 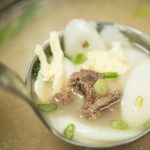 DISCLAIMER – I’m giving you this info just as a very rough guideline and is purely based on my personal experience of cooking Korean food for over 25 years. I am NOT a food safety expert and the results may differ on the temperature, humidity and other factors that I cannot cover all here. 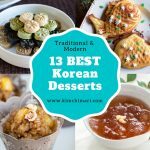 Most of these Korean vegetable side dishes taste best when they are freshly made and served at room temperature. 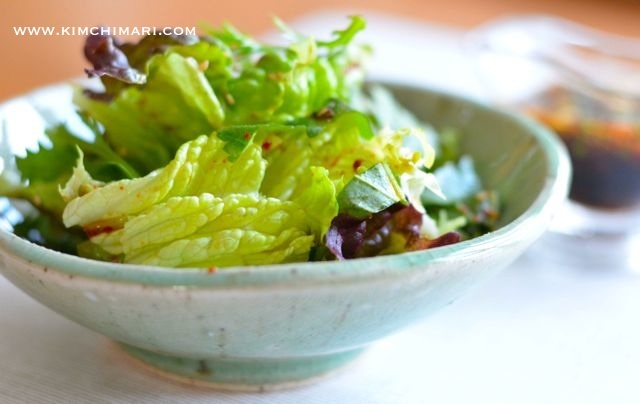 Cucumber Salad and Radish Salad are two salads that actually taste better cold and after they have been marinated for a few hours. 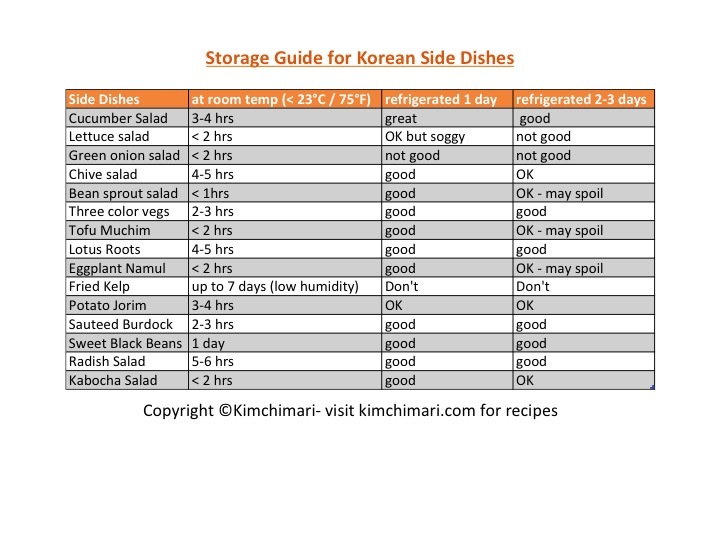 Here is a rough guideline about how long you can keep your Korean vegetable side dishes at room temperature and in the fridge. Hope this is helpful! This Banchan storage guide table does not display well on mobile, click HERE to view, download or print the table. 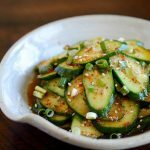 A simple Korean cucumber side dish that’s like a salad. 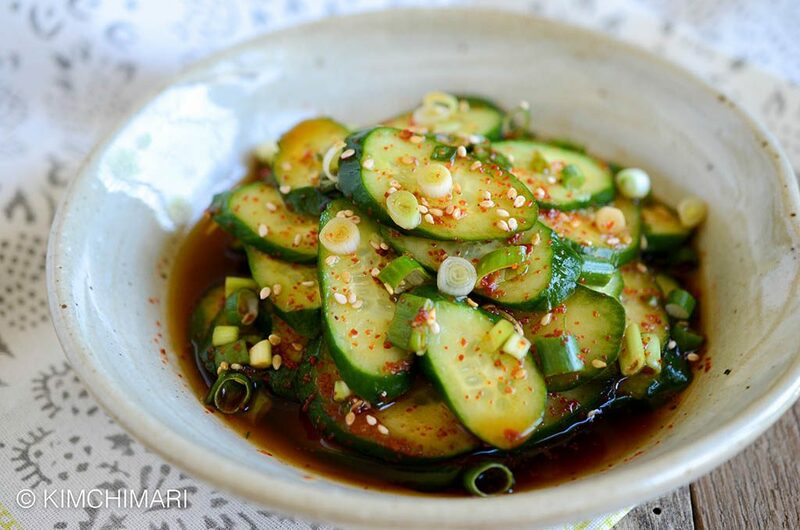 The seasoning is very light to allow the refreshing cucumber flavor to stand out. 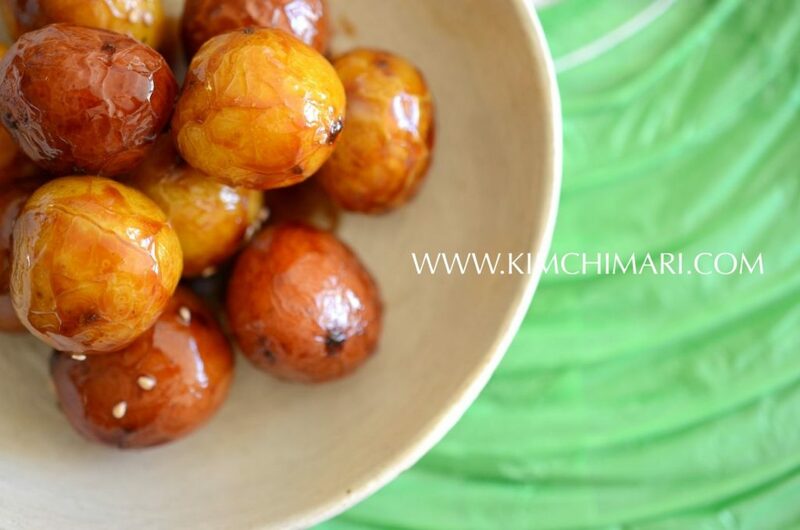 A wonderful side dish to any grilled meats. 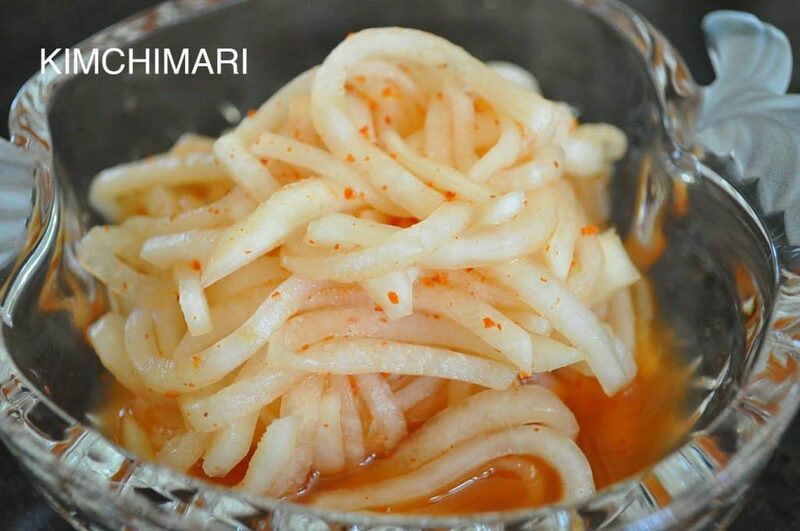 The salty, vinegary, and slightly sweet chili flavors of this banchan help balance the greasy taste of meats. Another side dish that’s great with grilled meats. 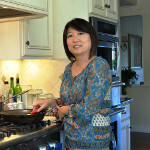 It brings out the flavor of meat while cutting out the fatty taste. 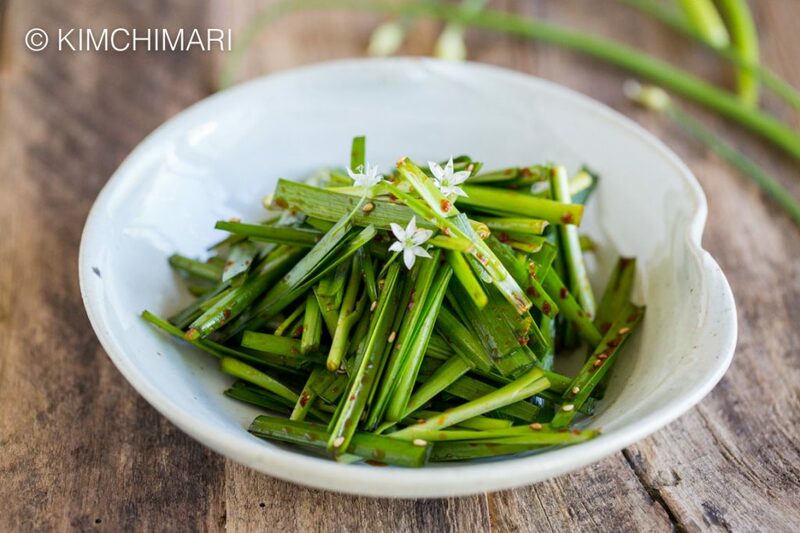 The tantalizing soy vinegar dressing together with the garlicky punch of fresh chives make this side dish a standout. 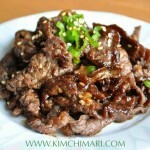 Serve it with Korean BBQ or any heavy meat dishes. 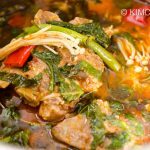 This popular Korean side dish is easy to make with humble ingredients yet packed with nutrients and good flavors. 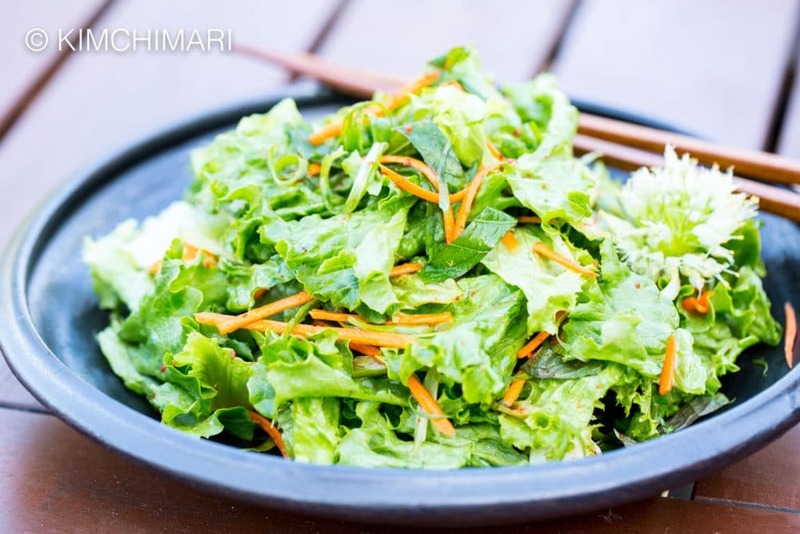 It’s a great topping for bibimbap. This dish comes from the Korean tradition of paying respect to ancestors with an offering of a table full of food. One of the rules is to have a plate of three-colored vegetables. 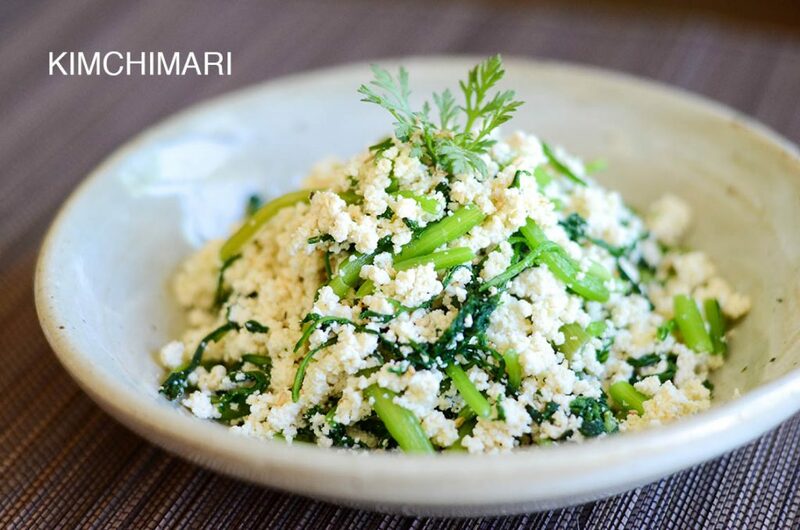 Tofu is mixed with fragrant Korean greens like ssukgat (crown daisies), minari (water dropwort/Japanese parsley/Chinese celery), and cham namul in this traditional recipe. 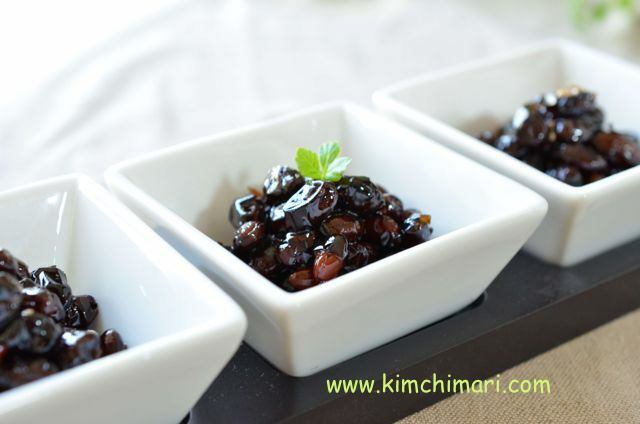 A popular Korean side dish that’s slightly crunchy, salty, and sweet all at the same time. 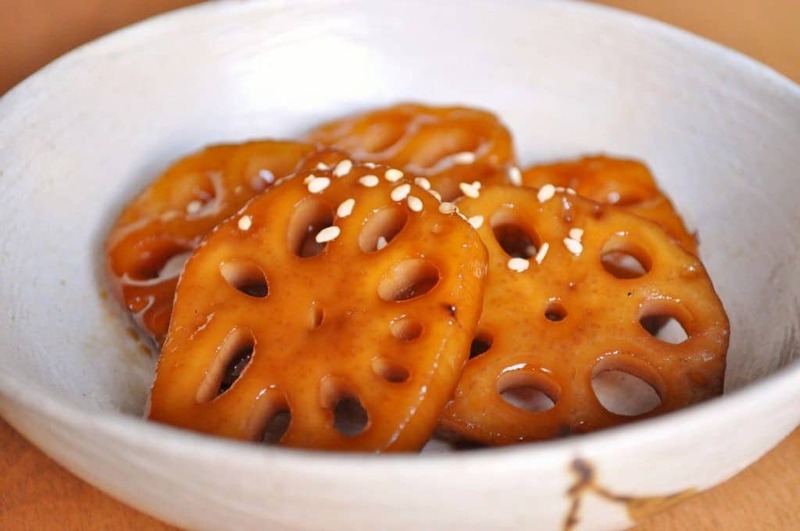 Lotus roots are a great source of fiber and vitamin C.
Eggplant is lightly steamed and gently tossed in a delicious Korean soy sauce seasoning. 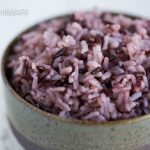 This side dish is just as good by itself and with some white rice for a light meal. 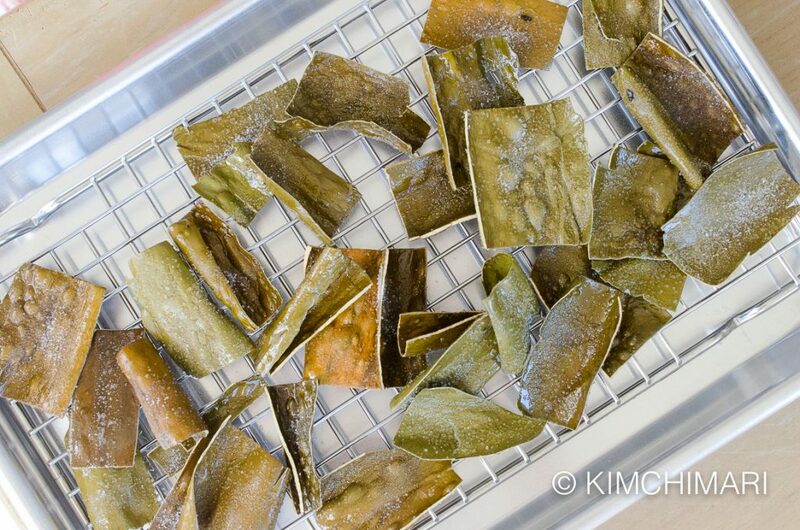 Great as a side dish or a snack, kelp chips are a traditional delicacy that has been around for hundreds of years. Kelp is rich in minerals. 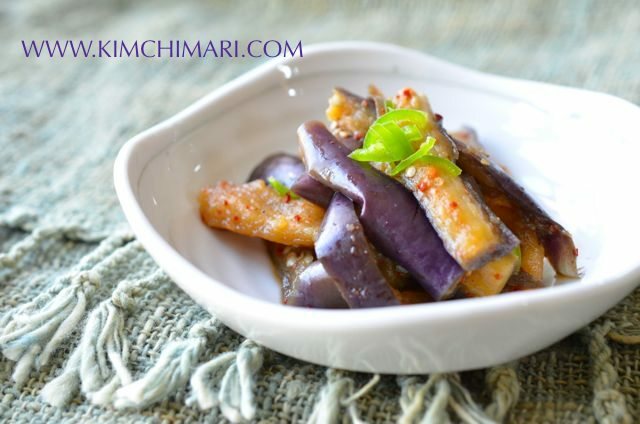 An easy side dish for potato lovers that goes well with any Korean meal and lunch boxes. It can be made with any waxy potatoes or baby potatoes. A popular root vegetable in Korea and Japan, burdock is enjoyed for its medicinal benefits. 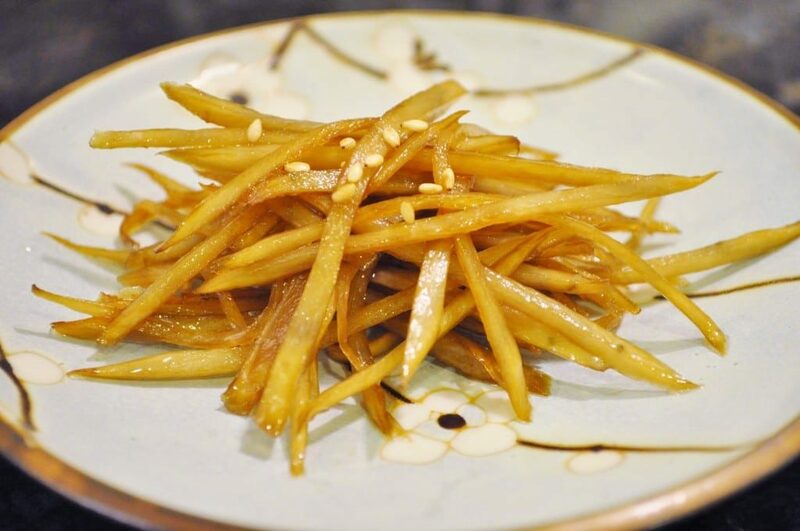 Fresh burdock root can usually be found in Asian grocery stores. The measure of a good Kongjaban is when the soybeans have just the right bite and the sauce has a good balance of sweet and salty flavors. 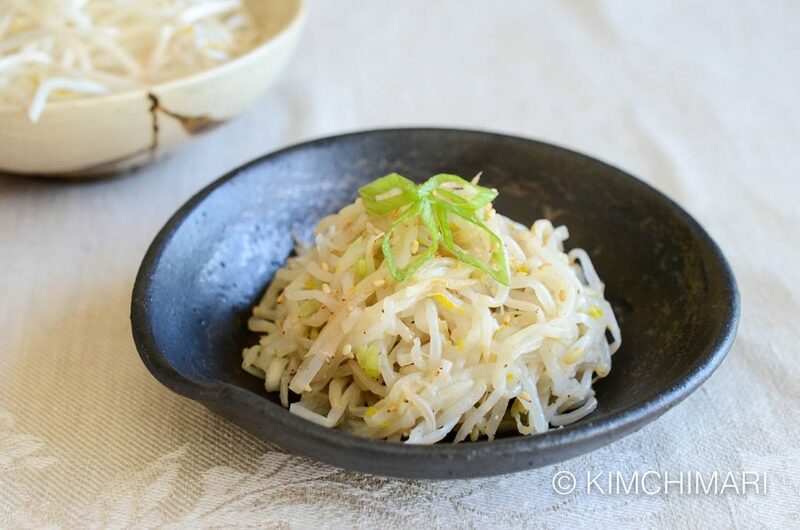 Radish has various digestive enzymes to help us digest carbs, fats, and proteins, making this sweet, tangy, and slightly spicy side dish a great accompaniment to BBQ meat. 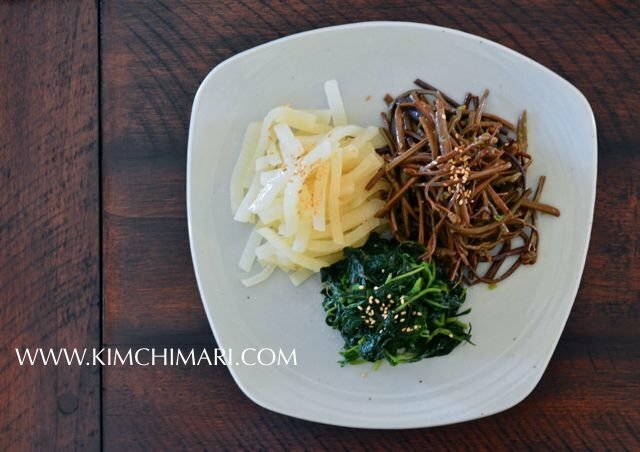 Sweet and creamy, this Korean vegetable side dish is a treat everyone in the family, including the kids, will love. 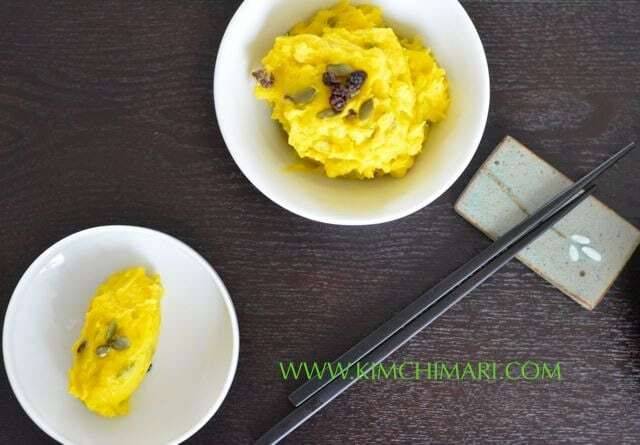 High in vitamin C and beta-carotene, kabocha squash is considered a healing food in Korea. 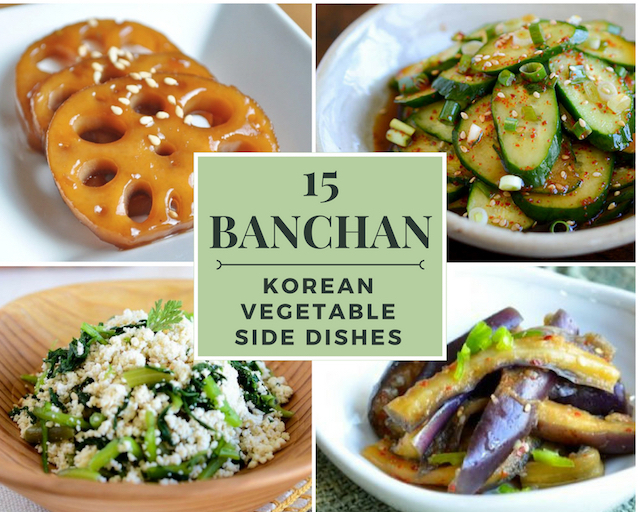 I hope you get to try all 15 Korean vegetable side dishes (banchan)! 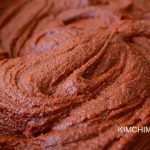 You can also FOLLOW ME on FACEBOOK, PINTEREST and INSTAGRAM or join my FACEBOOK GROUP to see other Korean recipes and to ask and share everything about Korean food with others just like you!